This is the confusion among Yōkai! These Japanese spirits have intertwined and, to appease them, you will have to group them between Yōkai of the same family. 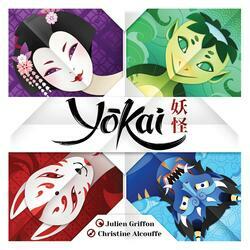 Youkai is a cooperative game in which you will not be able to speak directly about Yōkai cards. You will need to work as a team and use your memory to appease the Youkai.